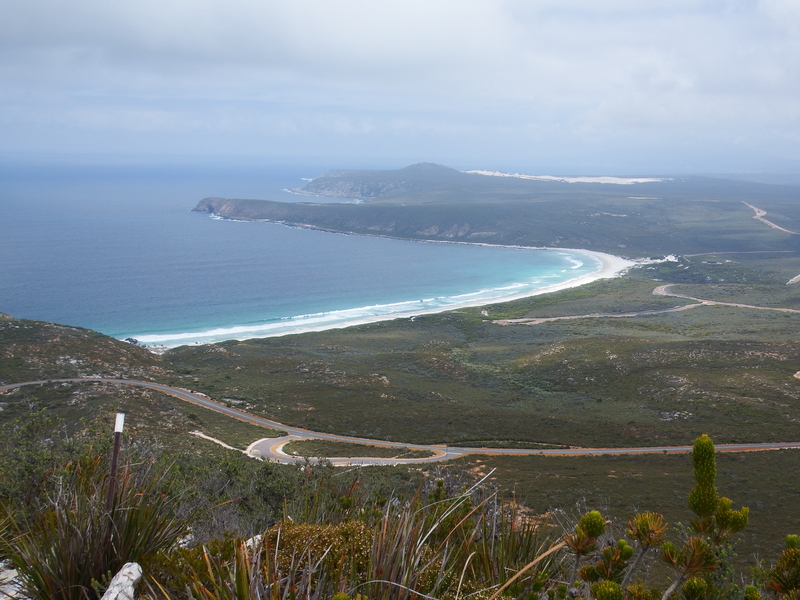 Just next to Hopetoun is the Fitzgerald River National Park. 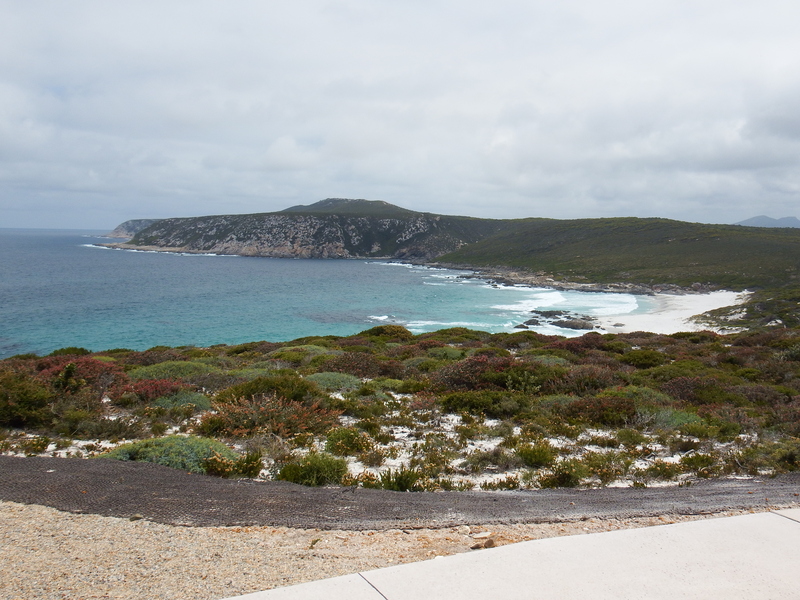 This is the largest National Park in Western Australia and contains a large percentage of the states flora, although it wasn’t the season for wildflowers during our visit, even in our ignorance we could see the larger variety of plant than we’d noticed at other parks. Upgrades to roads, signage, picnic facilities and campsites were completed around 12 months ago so all facilities were in good condition. We camped at Hammsely Inlet on the eastern side of the park. The campsites are sized to suit all varieties of different set ups. There are bush toilets and a BBQ area but no other facilities but as the price is $10 we weren’t complaining for the couple of nights we were there. 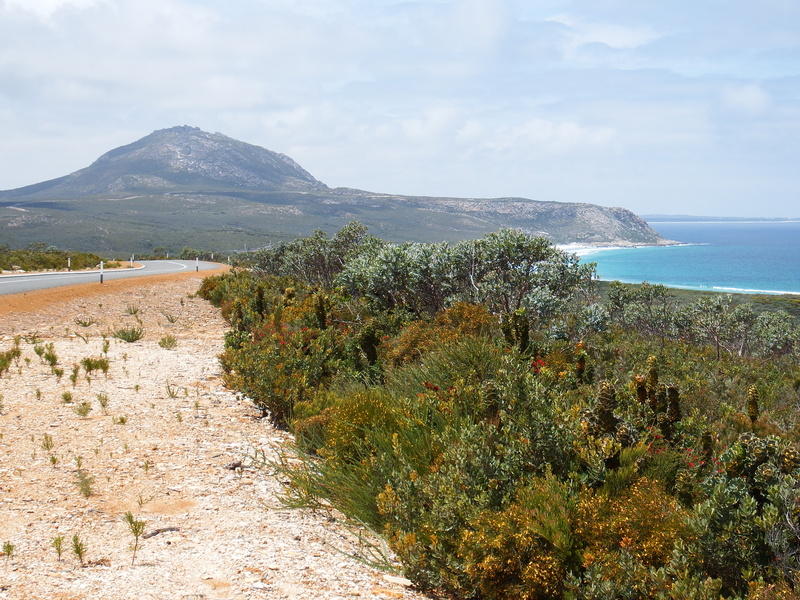 The Hakea walking trail stretches along the coast though the park, but we didn’t undertake any sections on our visit. “What is it with us and walking up f#%^ing hills?” Craig wondered aloud as we found ourselves gasping for breath around three quarters of the way up another mountain. The trail was hard going, loose rock underfoot and steep slopes, but the view from the top was worth the effort. We’d completed the summit and returned to the car within two hours. 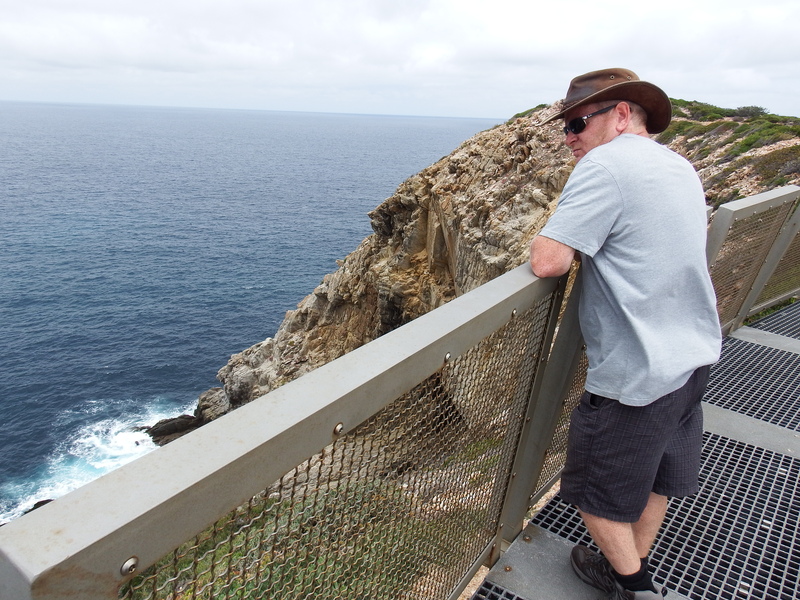 Another spectacular look out along the coastline made up of sweeping beaches and dramatic rock outcrops plunging to the sea.